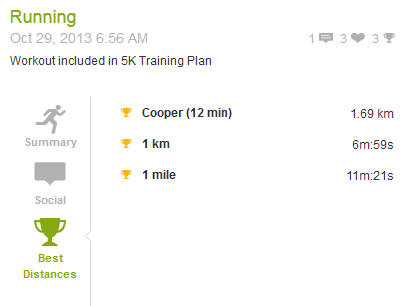 The C25K training plan on Endomondo has me do a test run every 4 weeks. I had to do a 3 km test last time and it went pretty bad so I was quite disappointed. I was looking forward to the one today because I felt like I improved a lot and my feelings did not deceive me. I am not the fastest runner so please don’t judge but I am proud of the results of my 12-minute Test from this morning. I started with 5 minutes warmup, followed by 12 minutes run at maximum speed and ended it with 5 minutes cooldown. I decided to not push it during the run too much to keep my energy level high till the end because I was afraid if I start too fast I won’t have enough power for the second half. 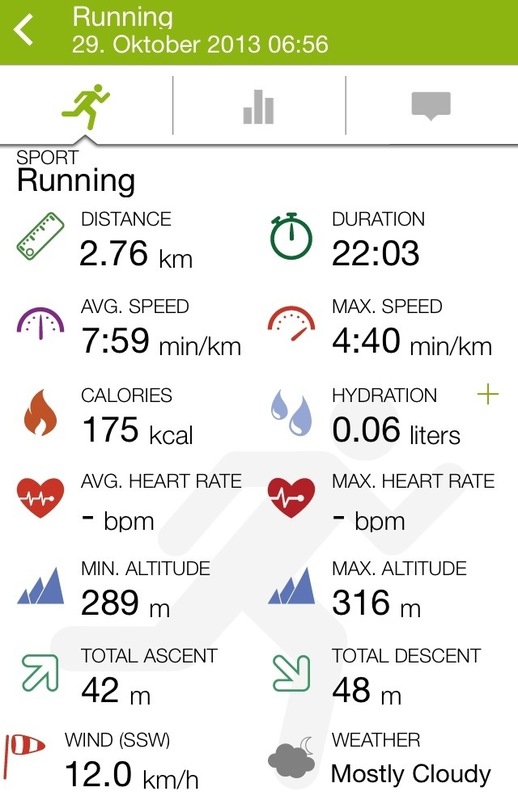 Average speed/km of 7:08 minutes is actually pretty OK, I could’ve done better but I am nevertheless happy with my performance because I managed to run at a steady pace and control my breathing the entire time. The only problem was that my calve muscles started to hurt again but it’s nothing what stretching, foam rolling and compression socks afterwards couldn’t fix. 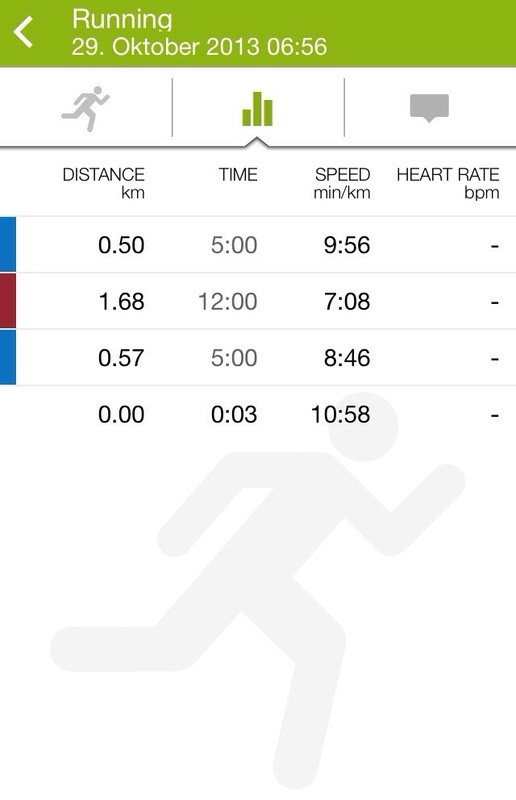 The Endomondo iPhone app doesn’t show the Personal Best so I had to take a look on the website and I was surprised that even with average speed of 7:58 minute in total, I managed to improve my 1 km time by 10 seconds. I was even more shocked when I looked in the detailed view of the workout and saw that I not only improved my 1 km time but also the 12 minute and 1 mile! These improvements might seem small and to regular runners these times might even seem ridiculous but to a newbie runner like me in Week 8 of 16 of the C25K running plan it looks amazing. If I compare them to the results from first few weeks, I made a tremendous improvement and I hope that I will continue to do so till the end of the training plan and eventually be able to run a full 5 km without stopping or walking or loosing my breath.